For those who like the flair of the different, this one is for you. 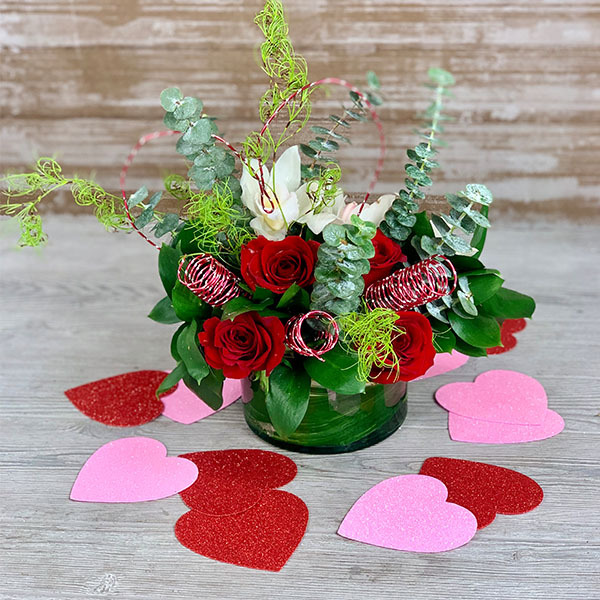 Red roses, sure, but nestled with white cymbidium orchid blooms, eucalyptus, other exotic greens, and set of with red wire spirals and a red wire heart, no two are the same. We will select from the finest exotic greens and ensure this one-of-a-kind creation is fit for your one-of-a-kind Valentine!